Don’t be fooled by the name, Grunge Theme is not only for grunge bands and the 90’s Seattle scene, according to iThemes it is suitable for designers, musicians and artists. So no need to break out the old baggy checked logging shirts and combats and make a drastic change in musical direction to use this site! 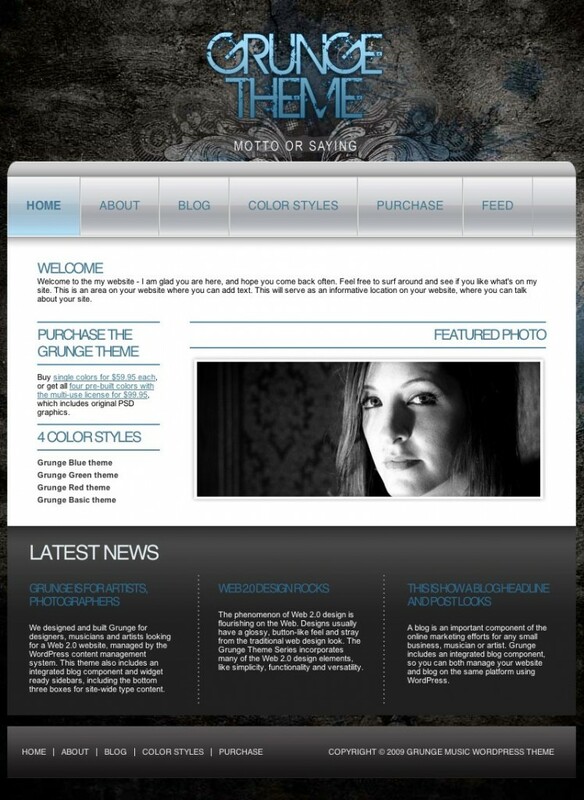 Grunge Theme is a web 2.0 WordPress band theme and has been developed by iThemes. If you are an artist (visual) or designer we do not recommend this theme! There are themes available which will be a million times more suited to your needs, unless you are particularly in love with this one we think it is a no-go. For bands however this theme would be perfect, its sharp and clean with easy navigation. Although its not overloaded with features it is very functional and once branded will make a good impression on your fans / visitors. So what has it got? 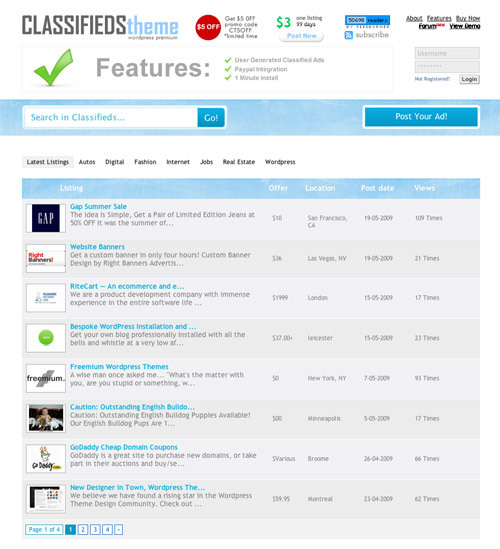 Well it has a very well designed ‘latest news’ section, the ability to run as a blog or conventional site, is widget ready and is easy to brand. Above all it is the look of the site which really makes Grunge Theme stands out as a cut above the rest. Its glossy web 2.0 looks set against the dirty industrial background work very well (something to keep in mind while your stylising this site to your own branding) and the composition of the navigation and sidebars / content is very nice indeed. We really like the use of font styles and lines within the content aswell. The theme could do with a built in mp3 player but there are plenty of free plugins for this functionality. It would also be nice idea to use a shop / sales plugin if you wish to sell merchandise. Both of these features would be very easy to integrate (for the WordPress savvy). 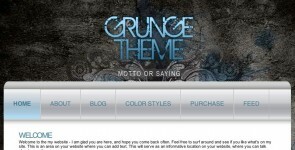 Overall Grunge Music WordPress Theme is very good, with some extra development it could be amazing. Revolution Two themes are gaining a lot of popularity and admiration amongst WordPress theme fanatics, they are probably our favourite developers currently on the scene. 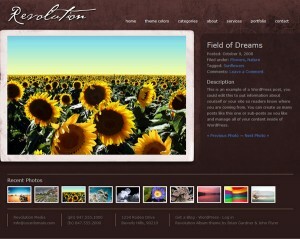 Revolution Album is a theme designed purely for photographers and artists who wish to run a photo blog or a portfolio site. Care has been taken in the development of the design to make sure that the emphasis of your site will be your photos or images with everything else toned down, letting your work speak for itself. As you can see from the image below each photo takes up over 50% of the overall design. Navigation has been made very easy with the simple previous and next buttons that you would expect to find in any well constructed photo blog. However below these is a featured photos strip which allows you to show off the crux of your work. This could very easily be modified into a categories selector. Simply make each of the featured photos a link to a different category and add a suitable tool tip (the text that pops up when your mouse is over an image or button). Or put the category titles directly onto the photos here to create a menu! Directly under the title of each image / photo is a ‘filed under’ and ‘tagged’ area making it very easy for user to navigate quickly to similar works and projects, basically acting as a quick menu system. Speaking of menus, all the main navigation has the option to use drop-down menus keeping everything at top level nice and minimal. We think it would be nice to see EXIF data used within this theme and hope that Revolution consider this for future updates / re-designs. 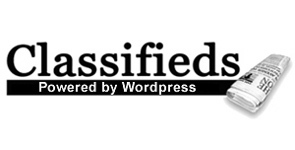 There are plenty of plugins available which will do this job and if you are a dedicated photographer then we recommend that you use them with this theme. If you are looking to sell prints or originals of your work then this theme should be a serious consideration, your customers get a clean professional portfolio to easily browse rather than hundreds of thumbnailed images. There are plenty of plugins to add shop functionality, some of them even allow you to directly accept credit cards as well as the usual paypal etc. 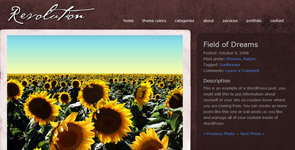 Overall this is a very nice wordpress photo theme. 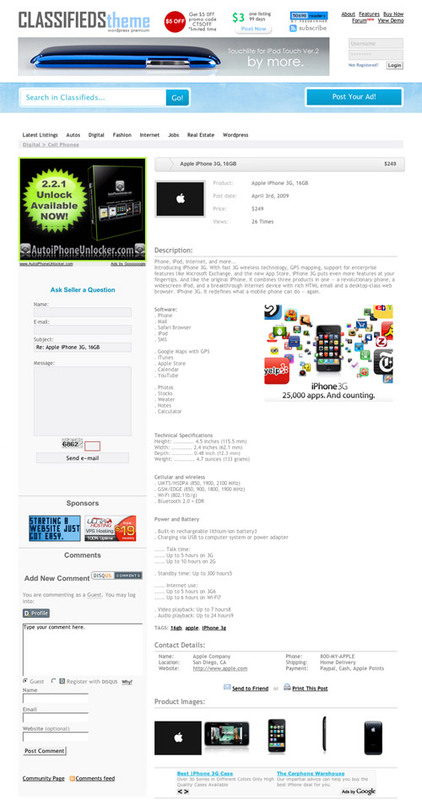 Looking at what else is available on the market it would be very hard to find a website design for any system which can beat this one for either its ease of use or its minimal beauty.